Need an out-of-the box break? Something completely different that will probably change your life? The following are 6 volunteering opportunities in Thailand that might just be what you’ve been looking for! There are a lot of reasons why many travelers make Thailand their top destination for volunteering abroad: friendly locals, amazing food, laid-back atmosphere, white sand beaches, clear turquoise water, a variety of exciting cultures, and that’s just for starters. One big benefit of volunteering in Thailand is that you get to fully immerse yourself in the culture, experiencing the real Thailand, especially in the more remote areas. Many non-profit organizations in Thailand support and empower rural communities such as underprivileged children, hill tribes, and Burmese migrants. International volunteers who volunteer through the GivingWay site can work alongside villagers, often taking part in meaningful projects related to education, agriculture, conservation work, animal care, construction, and more. Community development efforts often involve environmental awareness to promote harmony between people and nature. The Life Development Center is a non-profit organization located in Northern Thailand whose main motive is to ensure that tribal communities have access to good living conditions. The hill tribes live in remote villages and are often victims of discrimination, making them vulnerable populations in Thai society. The organization, in its 24 years of existence, has helped more than 50 tribal communities in isolated villages, using an approach that combines both community development and nature conservation. A variety of projects have been implemented to reach the non-profit’s goals. The Life Development Center needs help in different areas, depending on volunteers’ skills. Participants with relevant experience can teach English, or help with marketing and product design. 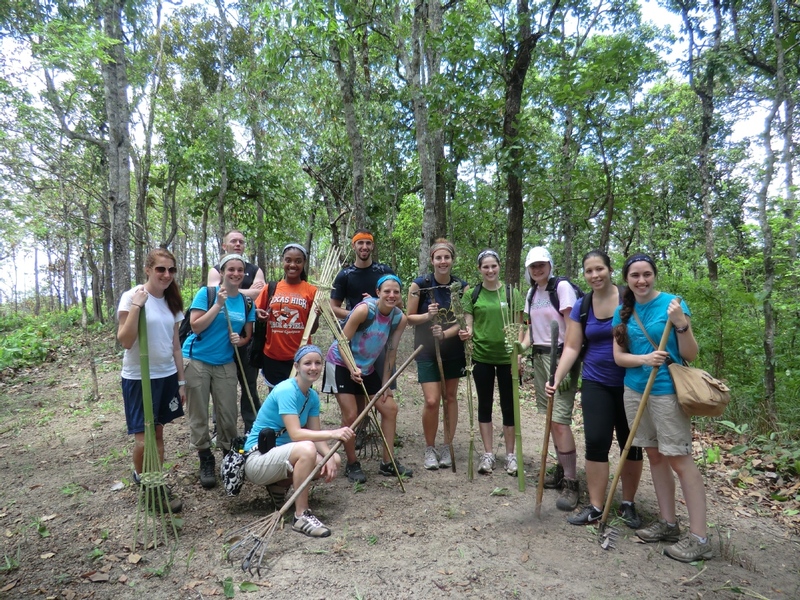 Volunteers who prefer field work can work in agriculture and construction. Based in Southern Thailand, the Klong Toh Lem Academy Foundation’s mission is to support community development through lifelong learning, promote cultural exchanges between the local people and foreign visitors, and protect the environment. The organization was established in 2004 to help preserve the mangrove forest, as well as the local culture and values. The importance of mangroves became evident when villagers realized that the deforestation of these trees resulted in less fishes and crabs in the river. 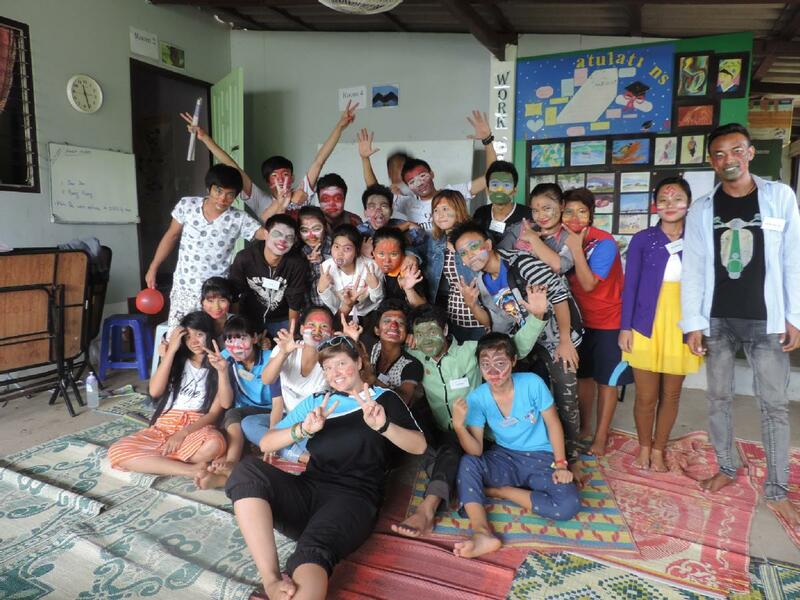 Klong Toh Lem Academy Foundation offers short- and long-term volunteering opportunities. Volunteers can work alongside the villagers to help revitalize the mangrove forest, usually by removing the smaller branches to create more space for the trees to expand. Those who enjoy manual labor can assist with renovation work in and around the village. 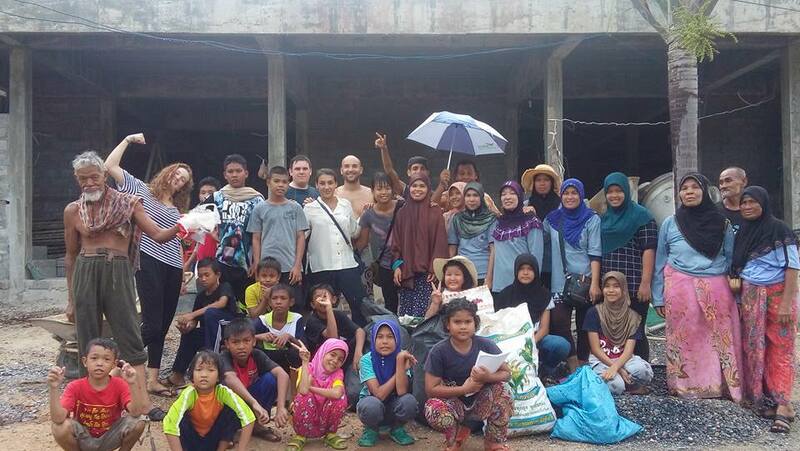 Volunteers can also teach English to the community and organize fun activities with the kids. Cultural exchanges are highly valued in the village, so foreigners are always greeted with a warm welcome. Lanta Animal Welfare is a non-profit organization located in Koh Lanta, and its aim is to relieve the pain and suffering of dogs and cats, whether they are stray or owned. The Lanta Animal Welfare team provides first aid to injured animals, and conducts a sterilization program to reduce the population of vulnerable cats and dogs over time. The sterilized animals are also vaccinated against rabies, and for this reason, the area has been rabies-free for the past 15 years or so. The organization was established in 2005, and has since then helped over 15,000 animals. Education projects are also organized to raise awareness about animal welfare among the children at schools. 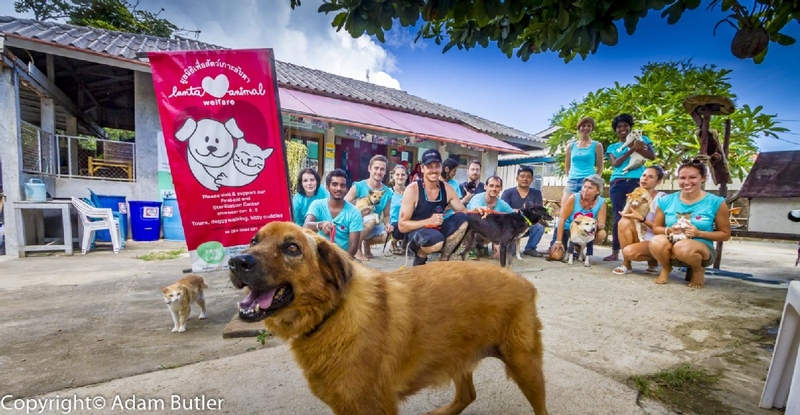 To apply as a volunteer at Lanta Animal Welfare, you need not only to have a passion for dogs and cats, but also the will to fully commit to this meaningful cause. Volunteers are expected to look after the animals, as well as help with the maintenance, cleaning, and gardening. Qualified vet volunteers can assist with the emergencies and sterilization of the animals. Vet students are also welcome to contact the organization. Minmahaw School is a school located on the Western border shared by Thailand and Myanmar. It gives the opportunity to underprivileged Burmese students between the ages of 17 and 23 to learn through English immersion. The school’s goal is to prepare the students for higher education. The school was initially founded in 2007 to educate the children and grandchildren of political prisoners from Myanmar. Both local and foreign volunteers help conduct the classes in English. Minmahaw School needs experienced volunteers to teach a variety of topics in English: maths, English language, science, social studies, computer classes, and more. Volunteer teachers are expected to work at least 10-12 hours per week, depending on the school’s needs and the number of volunteers. Volunt2Thai, also known as V2T or Volunteer to Thailand, is a cultural centre which supports community development projects as well as international cooperation. The organization aims mostly at empowering the local children. Located in Northeastern Thailand, Volunt2Thai is actually a non-profit organization from Austria founded in 2014 to help farmers, their families, and especially the youth population. They support the community through a variety of initiatives, from education to agriculture and healthcare projects. Applicants at Volunt2Thai get to stay in a unique “volunteer village” and take part in various projects which benefit the communities of 6 villages in the area. Volunteers who love children would enjoy teaching at the local schools. There are many school subjects for teachers to cover, such as English, sports, computer classes, arts and crafts, and more. Volunteers who prefer manual labor can choose to work on the field with the Thai farmers. Applicants with relevant experience can support the elderly with physiotherapy or help patients at the hospital with medical or nursing care. Located north of Bangkok, Thailand Teach is a non-profit organization that promotes cultural exchanges in rural Thailand. They empower the local communities mainly with the English language to open the mind of the younger generation and plant seeds of curiosity about the outside world. Thailand Teach serves its communities in different ways; education and vocational training are particularly important to motivate underprivileged young people to study and increase their prospects. 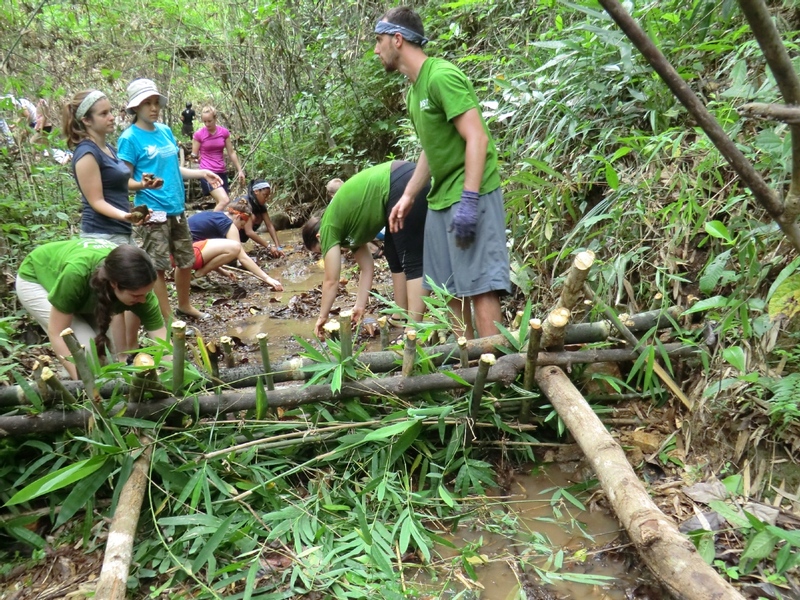 Volunteers at Thailand Teach get to experience a full cultural immersion by working side by side with the local people. 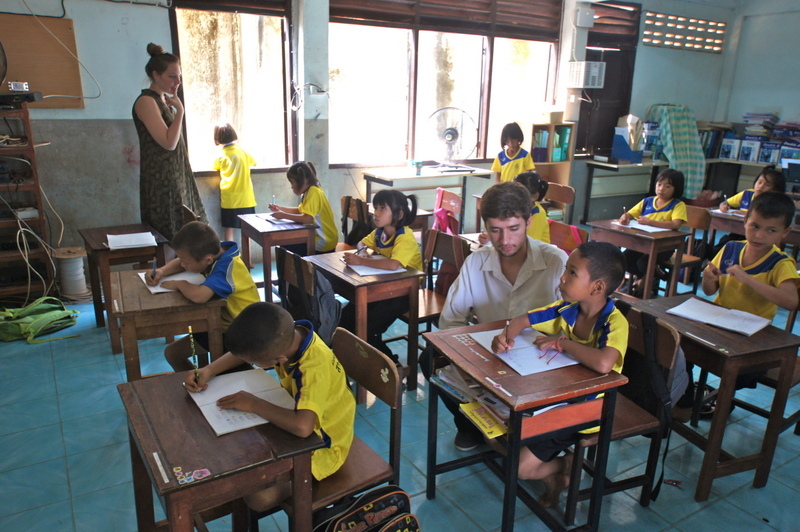 The most popular volunteer activity is to teach English to students at the temple school or high school. Volunteers interested in childcare can assist local workers with the care of children aged 2 to 5 years old. Participants can also help villagers build eco-friendly mud huts and take part in projects related to farming, construction, and renovation.